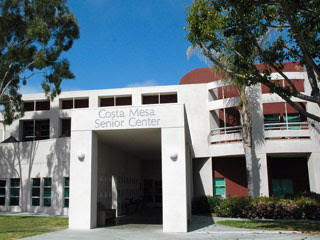 Perhaps the biggest hub bub here in Costa Mesa this past week was the revelation by recently crowned Mayor Pro Tempore Wendy Leece that she, as the liaison to the Costa Mesa Senior Center, felt "out of the loop" and wanted to be appointed by the city council as a voting member of the Senior Center Board. SHE SHOULD TRY SHOWING UP! To that we say, " Well, duh, Wendy!" How could she not feel "out of the loop" when she's missed six of the last seven meetings of the board? Some will recall that Wendy created much turmoil earlier in the year when, at a time when she actually did attend meetings, she listened to the gripes of two members of the Senior Center - women apparently with axes to grind with the Director of the center - and immediately launched into an inquisition. She demanded answers to a long list of nit-picking questions, ranging from the petty to the preposterous, which took up hours and hours of staff time to prepare responses. Apparently now Ms. Leece - a woman who apparently has made a career of rattling cages during her tour on the school board and now on the city council - wants to displace two highly competent volunteer members of the board appointed only last year and replace them with two council members. Those council members would be herself and one other. As one might expect, this has created more turmoil at the Senior Center. Many of the current board members are livid at her intrusion. 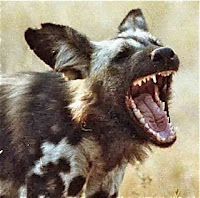 The yapping hyena over at the CM Press has picked up on this issue and published two recent posts commending Leece for her bull-in-the-china-shop stampede through the Senior Center. That bozo - who fancies himself a newsman just because he played a reporter (badly) in a terrible movie 35 years ago - posted a link purportedly to the Senior Center Web Site. Only problem there was he was using a link to a now-defunct site. That's typical of this guy, though. He never lets facts or accuracy in reporting get in the way of his opinions. HERE is the link to the correct site. 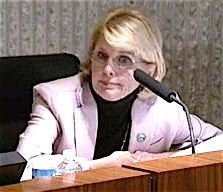 So, shortly after the first of the year you can expect the ruling junta on the Costa Mesa City Council to pick up Leece's banner and charge ahead, fully disrupting the Senior Center and it's members. I guess it's never too soon for Leece to start padding her resume for a run at re-election in 2010. Next time around, though, she won't have Allan Mansoor's coattails to ride on. FIRST THE LATINOS, NOW THE SENIORS - WHO'S NEXT? So, now that the attack on Costa Mesas Latinos seems to have simmered down a little, it looks like the Mansoor-led majority are going after the seniors in our city, using the vacuous Wendy Leece as their point person. You will recall that I've warned you about this many times in the past.